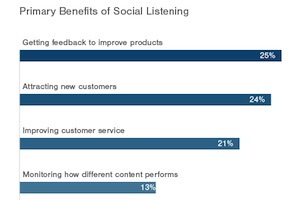 Brands say the primary benefits of using social media listening platforms are getting feedback to improve products/services (25% cite it as a benefit) and attracting new customers (24%). 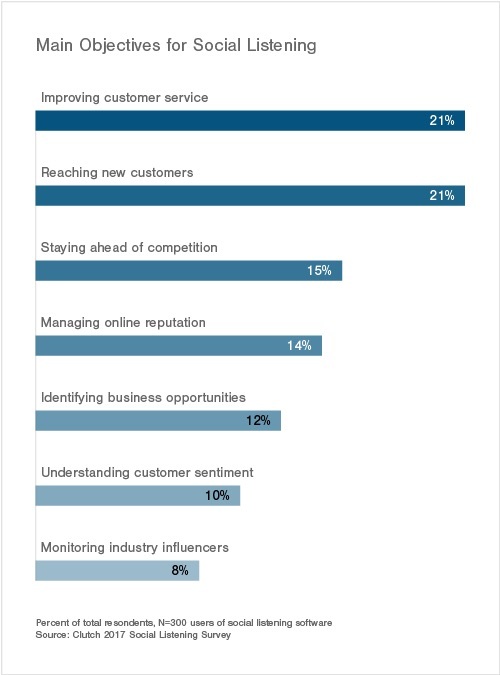 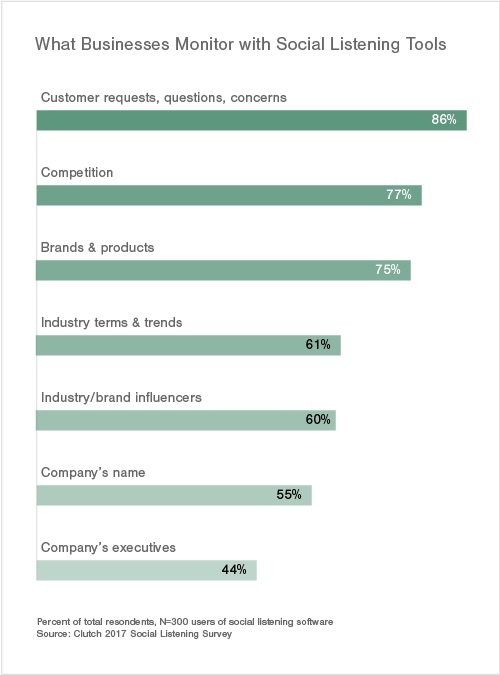 Respondents say they main things they monitor with social media listening tools are customer requests/concerns/questions (86% do so) and the competition (77%). 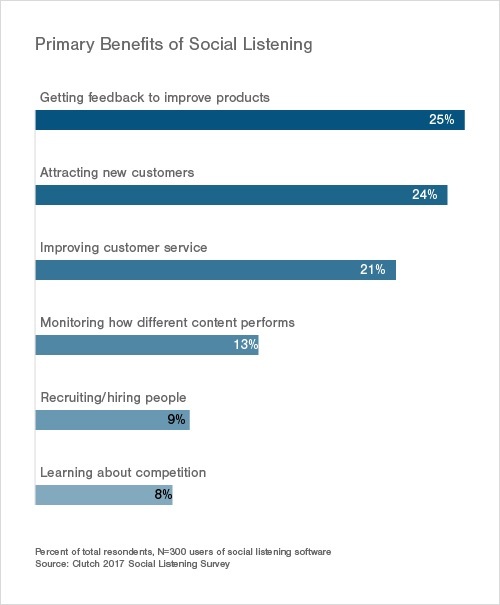 About the research: The report was based on data from a survey of 300 people at companies with 100+ employees; those polled use a software tool for social media listening/monitoring; 74% of them work for B2C firms, and 26% work for B2B firms.